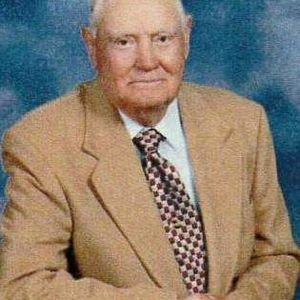 Mr. Charles Delmar Brewer, 95, of Murray, died Friday March 29, 2019, at the Anna Mae Owen Hospice House. Born August 16, 1923 in Stewart County Tennessee, he was a member of the Oaks Country Club and the Glendale Road Church of Christ. In addition to his wife, Burlene Knight Brewer, he was preceded in death by his sisters Sylvia Barrow, Orlene Bucy and Charlene Greenup. His survived by two daughters, Jeanie (Mike) Morgan and Tressa Ross both of Murray; and two granddaughters Shelby Morgan and Rachel Ross both of Murray; as well as nephew, Gary Greenup of Elizabethtown, Kentukcy. A Graveside service will be held on Tuesday, April 2, 2019 at 12:00 p.m. (noon) at Murray Memorial Gardens with John Dale officiating. Visitation will be held Tuesday, April 2, 2019 from 9:00 a.m. – 12:00 p.m. at the at the J.H. Churchill Funeral Home. Per family request no flowers. In lieu of flowers, expressions of sympathy are requested to go to the Anna Mae Owens Hospice House, Murray KY.